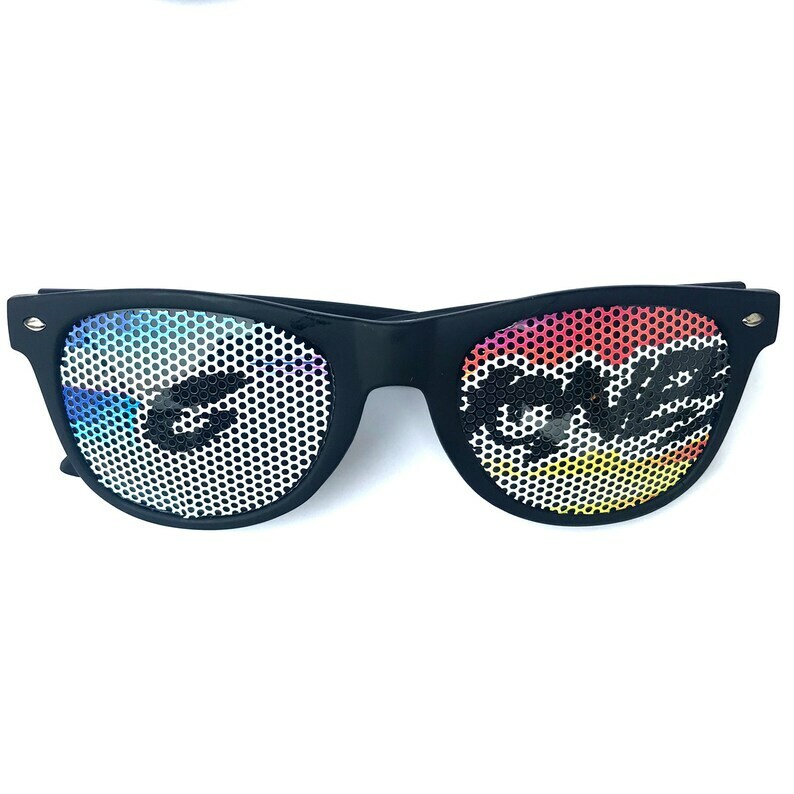 • These glasses are made with perforated vinyl decals over UV protected lenses and metal frames. • Unisex adult size (fits 12 years old and up). • The perforated see-through lens design may obscure vision at first. • Production: 3 to 5 business days. • Your items will be shipped with USPS Mail 1st class & takes 3 to 5 days for delivery. • Wholesale orders may need an additional 5 days to replenish stock. • Orders can be completed in as little as one day if my schedule permits it. If there is some kind of deadline please let me know and I'll try to accommodate you. Wakaan vector graphic sunglasses, MULTIPLE STYLES!